Blogs are a dime-a-dozen, and it is difficult to compete for an audience if you are not able to launch a blog with a trustworthy brand and image. Simply put, a user’s perception of your product or service — a digital publication included — will determine whether they will trust you enough to come back for more content later on, or if their visit is just a chance encounter that will not happen again. Worse, if your publication is labeled as something peddling fake news or pointing readers toward risky content such as malware, then this will definitely affect how your audiences will perceive you. 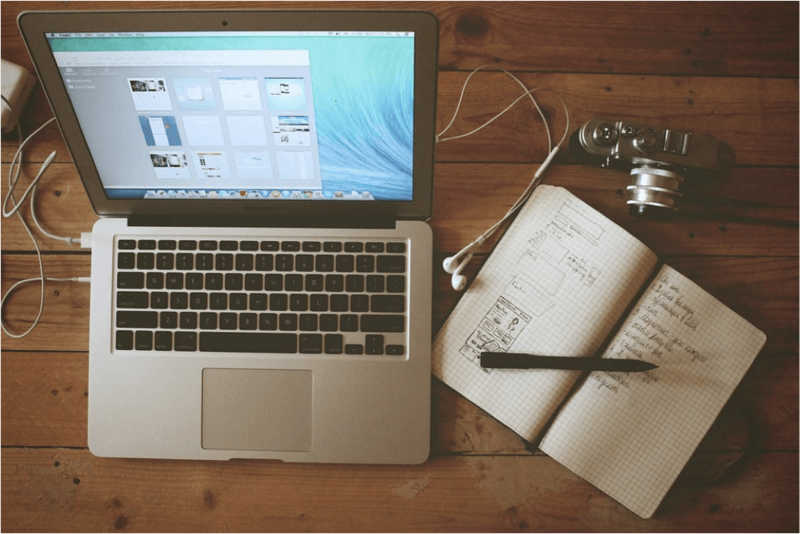 Launching a successful blog involves a lot of factors, including branding, hosting, design, content strategy, marketing, and having the right connections. For the purpose of this article, we will focus on both the technical and marketing-oriented aspects of improving trust for your blog. Sometimes, launching a great brand can be purely accidental — you might start with an idea and then end up with a totally different end-product. Take IMDB, for example — the Internet Movie Database started out as a website featuring attractive celebrities. Only later on did it evolve or pivot into what it is today — a repository of all things about film, TV and entertainment. Sometimes, you can chance upon a good brand name, and you can even acquire the domain or trademark the name. Capitalize on these brands and choose something that sounds trustworthy. However, if you can choose your brand and decide on branding strategy from the start, it will help in establishing the focus of your blog. Choose something relevant to your niche, something memorable, and something that with an available domain. For publishers, infrastructure is probably not very high on the list of priorities, especially for bloggers, authors, or editors whose main concern is pushing out compelling content. However, did you know that setting up your blog with a good hosting infrastructure is just as important in building a blog that readers can trust? Secure connections are already standard for all social media services, and premium CMS providers like WordPress.org and medium.com also come default with SSL/TLS, which is the standard for securing and encrypting all communication between client and server. Most low-cost hosting providers will also provide an option for inexpensive or even free self-signed SSL certificates. However, do not be fooled by the cost factor, because a low-grade SSL certificate might be risky. It can negatively impact your blog’s trust factor in two ways. First, Google already counts security as part of search engine optimization — a lower-security or non-secure site might be ranked lower than if its level of security is increased. Conversely, a better-grade security certificate can help improve on your ranking. Secondly, users are given a warning if a website’s SSL certificate has expired or is invalid, which will definitely turn away users who are security-conscious. You will surely be turned off if you see red warning signs on your browser telling you that a blog or website is potentially insecure. There is a way, however, to optimize the rating of your SSL certificate without spending a lot of money on high-grade certificates. Deploying a content delivery network with Grade A+ SSL certificate will mean that the user-to-CDN connectivity follows the grade of the CDN’s SSL certificate. This also comes with the added benefit of significantly reducing the SSL handshake time, which can likewise reduce the latency of authentication, and thus speed up your site. Blogging is about creating content. While text has dominated since blogs first came into fashion, alternative forms of content are also taking a foothold. These include infographics, videos, and even short-form content. Do not be afraid to experiment with alternative content types, especially for blogs whose audience consists mostly of mobile users. Regarding content, gone are the days of content farms wherein low-quality articles could simply be churned out by copywriters who just re-hash information from elsewhere. Audiences trust blogs written by trusted authors. This means you should have actual experience or expertise with the topic you are writing about. If you lack the qualifications, then you can find experts who can produce content for you. You can even ask permission to republish existing content by said experts on your blog — with proper attribution, of course. Discerning audiences will know right away if a blogger is simply posing about knowing a certain topic. Jalopnik readers, for example, are car enthusiasts, and many of them know a lot more about automotive technology than the average reader or copywriter. This means the content cannot simply be written by novices or authors who do not know about the target market. The same goes for websites such as Search Engine Journal (SEO), PandoDaily (Venture Capital and startups), and the like. Jonathan Crossfield offers some advice: You can approach creative agencies, or you can even approach journalists who are experts at their specific beat or niche. What’s important is to determine their actual expertise on the matter, so that your outsourced content are not generic pieces without character. Engagement builds trust. On KissMetrics, Louder Online CEO Aaron Agius recommends building real relationships with your audience as a prime way of establishing trust. “[S]eize them when they come your way, you just might land a customer for life,” he writes — this also applies to audiences. Take the time to know your audience, respond when they leave feedback, and build relevant connections whether privately (through channels like email, messaging, etc. ), and in public (through comments and social media). Agius also recommends letting your personality shine and acknowledging your audiences as among the effective ways to engage them in order to build trust and credibility. After all, when audiences know your quirks, your habits, and your way of life, they will more easily warm up to you. This goes the same way with community management — when you manage a brand through social channels, audiences will trust you more if they know the actual people behind the brand, and if they can build real connections. While fake news and clickbait items have been a big concern for both publishers and readers of late, one more thing that can potentially damage one’s credibility as a journalist or author are conflicts of interest. This can be in the form of paid postings that are not marked as such or other sponsorships that could prove to be a conflict of interest. For example, giving a product a positive review would be a conflict of interest if the manufacturer pays for said review. Another potential conflict would be ownership, in part or full, by a business or company, if this is not made known outright. There is nothing wrong with sponsorships, ad placements or inbound marketing. What’s important, in order to establish trust and credibility, is to let the audiences know outright, so that they can judge the content on the merits of a blogger’s relationship with whatever brand is being featured. This can be done subtly, by mentioning that Brand X has provided free samples or free access to a service, for example. Another good way to establish transparency is by explicitly identifying affiliate links (especially as a corollary, a blogger can also disclose that he or she has paid for a product or service that is being reviewed or used on the blog. Blogger Katy Widrick actually offers a few forms and suggested wordings for blogging disclosures. Blogging has evolved from a purely personal matter to something that businesses can take advantage of, in order to engage audiences. However, at the DNA of blogs still remains the trust factor — that humans need to connect with other humans in order to establish better relationships. Whether through technical, marketing or social means, it is important for publishers and bloggers to build this trust, in order for a healthier relationship with audiences and potentially better returns from the blog.